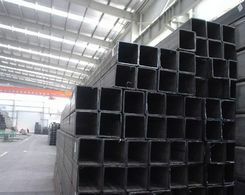 Seamless black steel pipe is a typical type of steel pipes available in different sizes and applications. 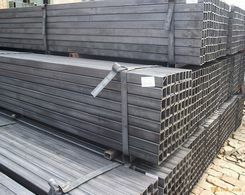 Now, most steel pipes are welded and specially treated to its surface. So they are rust and corrosion resistant. Actually, in the market, high pressure fertilizer pipe, fluid conveyance pipe and other pipes can be found with steel material. As the technology is gradually mature, the pipes are more durable and robust with long using time. In the common sense, seamless pipe is made when steel in a solid, round cylindrical shape, called a “billet” or a “tube round” is heated and then either pushed or pulled over a mandrel with a piercing point positioned in the center of the billet. This activity produces a hollow tube or “shell”. The tube is then further finished until it becomes the size and wall thickness desired. For, when the pipe is formed in a heated manner, the pipe is normalized and should have a consistent steel cellular pattern throughout its circumference. This nowadays seamless pipe is made in sizes from 1/8 to 26. It is widely used in construction, oil refining, chemical and petro-chemical industries. It is available in heavy wall thicknesses and exotic chemistries, and is suitable for coiling, flanging and threading. You should pay attention to its using precautions and correct maintenance ways. Usually, it is in short lengths. Seamless pipes are the typical ones with high quality and super performance. They are popular and versatile. Not only the seamless black steel pipe is used, other types are also welcomed and been applied into certain applications as well. The API steel pipe, welded steel pipe are also the common forms of steel pipes. They are made from super raw material and sold well around the world. 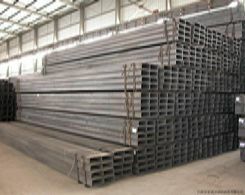 When choose them from www.xinlinsteel.com you can get very affordable and competitive products. Xinlin is a prominent supplier with professional experience and good fame, has known by most consumers. Also, quality assurance and warranty are offered.